Here we are, back again with another Untappd Catchup. I'm resigned to the fact that there will be many more of these as Untappd continue to release more and more badges. There's one of the new core badges in this review, so look out for the artwork a bit further down the page. First up was another badge earned in Sydney, Hotel Hopper (Level 5). This badge is for checking into venues with the word Hotel in the name. The venue was the Lord Nelson Hotel and Brewery and the beer; their Three Sheets English Pale Ale. It was a nice beer, with good citrus and floral notes. God Save the Queen (Level 25) was next and it's a beer from January's Bear Club. It's the Brewdog/Weihenstephaner collaboration - India Pale Weizen. The Weizen masters at Weihenstephaner meet the heavy handed hop wizards at BrewDog in this beer and the result is spectacular! You get the banana and cloves of the wheat beer and plenty of hops, it's a very refreshing beer that I'd buy again. I'm very pro a beer at the soccer, even when the offerings are pretty meagre. The Melbourne Derby at Etihad Stadium was disgustingly hot and I'm going to use that as my excuse for this next beer. It was Pure Blonde, even worse it was Pure Blonde Mid! The beer was certainly not a good lager, but given the conditions I could deal with it! It was cold and wet, which is all I wanted. Lager Jack (Level 39) was the badge. The first of the five new core badges I earned was Hopped Up. This badge is for drinking beers over 65 IBU's (International Bittering Units), there's the same deal as usual - 5 beers per level, 50 levels. Founders Dark Penance had the honour of being the first beer to earn this badge. I'd heard of lot of hype around this beer and it certainly lived up to it! It's an Imperial Black IPA, clocking in at 8.9% but you'd never know it with a cavalcade of hops and roasty malts dominating the flavour. One of my go to beers, Mornington Pale Ale, earned me the Mardi Gras 2015 Badge. It's a really solid beer, whether it be in a bottle, can or off tap. There's plenty of tropical fruit flavours, particularly passionfruit, up front with citrus coming in at the back. The malts are light although there's enough there to balance it. It's a particularly sessionable Pale Ale, which I will have to review in full soon - something I've been putting off for far too long! And there we have it; another 6 beers wrapped up very quickly. 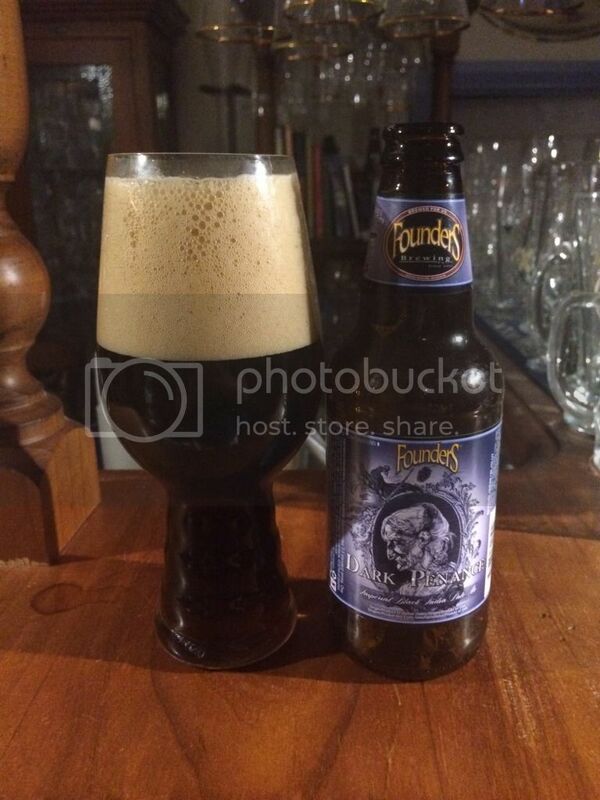 The pick of the bunch for me is definitely that Founders Dark Penance - if you find that buy it! The Mornington Pale Ale is a beer I recommend to everyone, it's a great Aussie drop. Avoid the Pure Blonde Mid if there's anything else available. Hit me up with some suggestions of what you want me to review next, gus.norris7@gmail.com.